Fad diets promise fast weight loss but do they really work long term? Detox diet, Atkins diet, Paleo diet, Dukan diet, High Protein Low Carb, Super Fast Diet…. These are just a few of the fad diets that have come and gone over many years. Fad diets vary in their message and strategies used however all claim to do the same thing. Help you lose weight FAST! The allure of fast weight loss and quick fixes is often hard to resist however another thing that most of these diets have in common is that while they may result in short term weight loss they usually do not support long term weight loss and often weight is regained quickly once the diet is “broken.” With some of the most common new years resolutions being weight based, now is a good time to take a closer look at “fad” dieting. Last year Body and Soul released the Top Searched Diets 2018 by Australians. The Ketogenic diet appeared three times in the top 10 searches. To save you the googling lets explore this diet in more detail. 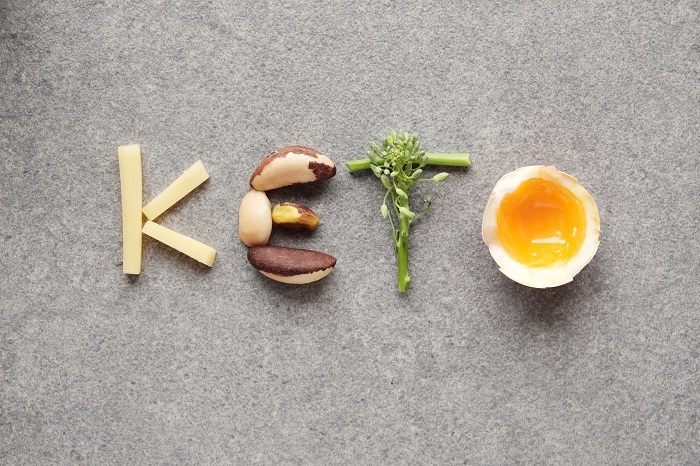 A Ketogenic diet is a diet that is low in Carbohydrates and high in Fat. It heavily restricts foods such as starchy vegetables, grains such as rice, pasta and cereals, breads, fruit and some dairy and instead focuses on consuming higher fat foods such as high fat meats, creams, avocado, nuts and seeds, cheese, eggs and oils. Carbohydrates provide the most efficient source of energy (glucose) for your body. By depriving your body of starchy, carbohydrate containing foods your body is forced to use up glycogen (glucose stores) which is the primary energy or fuel source for your body. This results is rapid weight loss initially, however majority of this will be water. By restricting carbohydrates some people may also reduce their kilojoule (energy) intake which will eventually result in fat burning and further weight loss occurring. Sounds great right? But what are the negatives? Through forcing your body to use fat as a fuel source your body may experience some unwanted side effects such as headaches, tiredness, mood swings and bad breath. The reduction of starchy grains may also result in a reduced fibre intake leading to constipation and a ketogenic diet will often include a high level of saturated fat in your diet which may also increase your risk of high cholesterol and heart disease. Unless you can imagine a life where you never eat pasta, rice or potato (to name a few things) again this diet will not be sustainable for you and often as soon as carbohydrates are reintroduced the weight is regained and can sometimes include up to 10-20% more. All fad diets fall into the second definition so instead look at diet as the first definition. Focus on what you usually eat not what you always eat. This will hopefully make any changes much more sustainable. If you can’t live with carbohydrates, learn how to eat carbohydrates. While it might often feel like things need to be perfect, they don’t. Focus on small, achievable changes and most importantly celebrate the wins, not matter how small they might be. Make a meal plan, write a shopping list, prepare your lunch and breakfast the night before, do a cook up on the weekend so you can have a few weeknights off cooking. Planning means that when you are tired, stressed, overwhelmed or just can’t be bothered you don’t have to think you can just do. Having something specific you are working towards helps to keep you focused. Try having both short term and long term goals and make sure that you can measure and monitor your progress. Your goals should also be specific, realistic and achievable. Remember they don’t all have to be weight related. Your weight loss journey doesn’t need to be a lonely one. Have a support system around you that can help you through the hard times and celebrate the good times with you. Your Dietitian, friends, family, GP may all be a part of your support system.